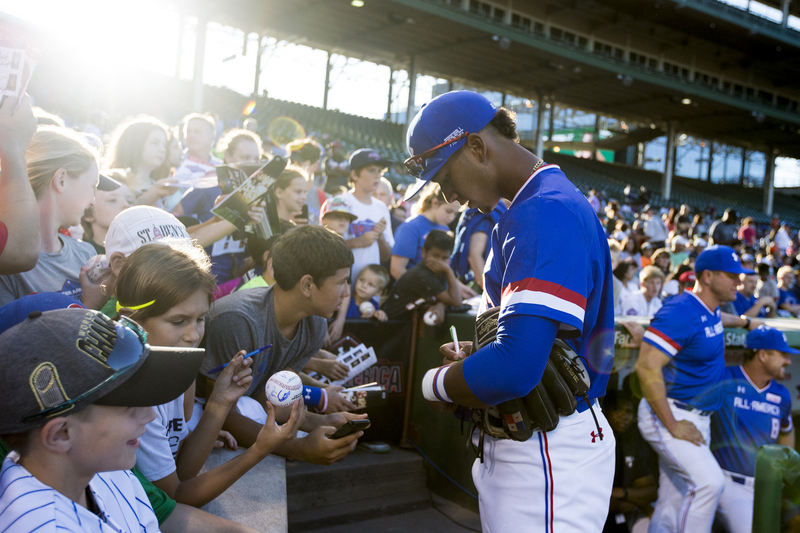 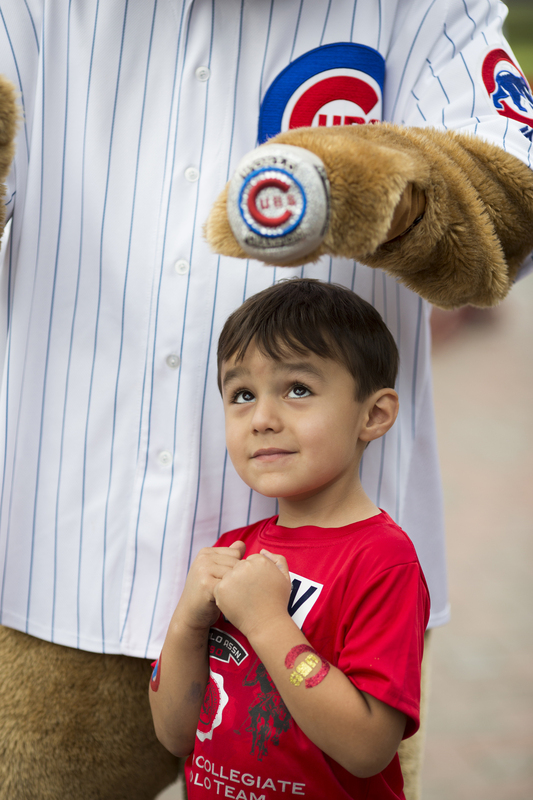 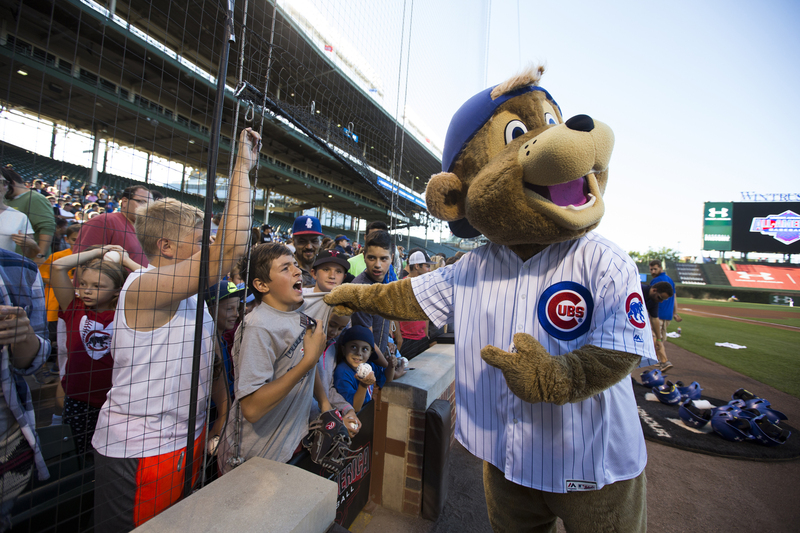 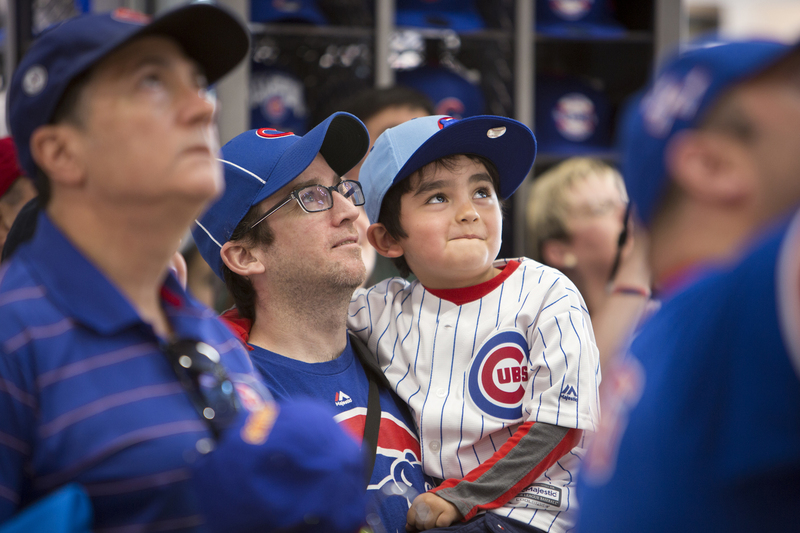 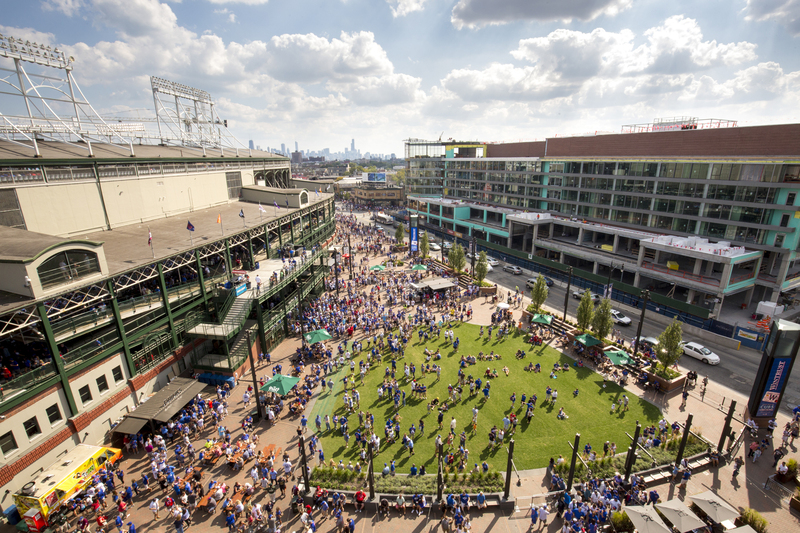 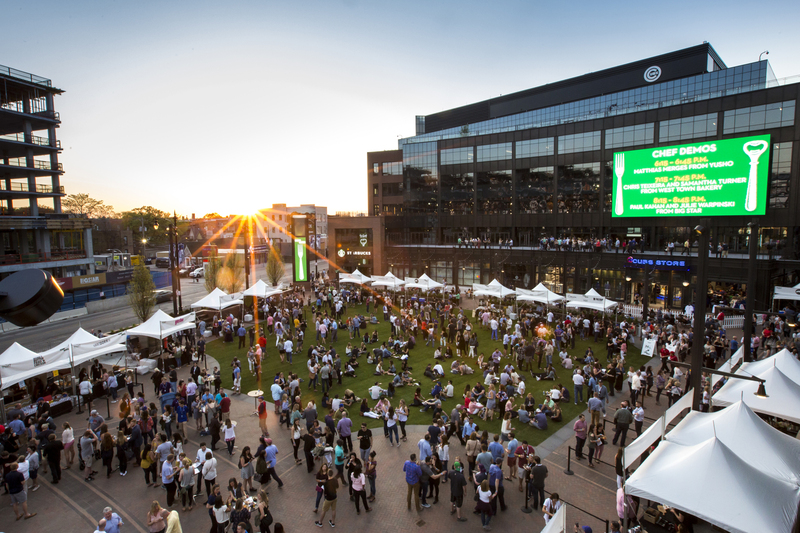 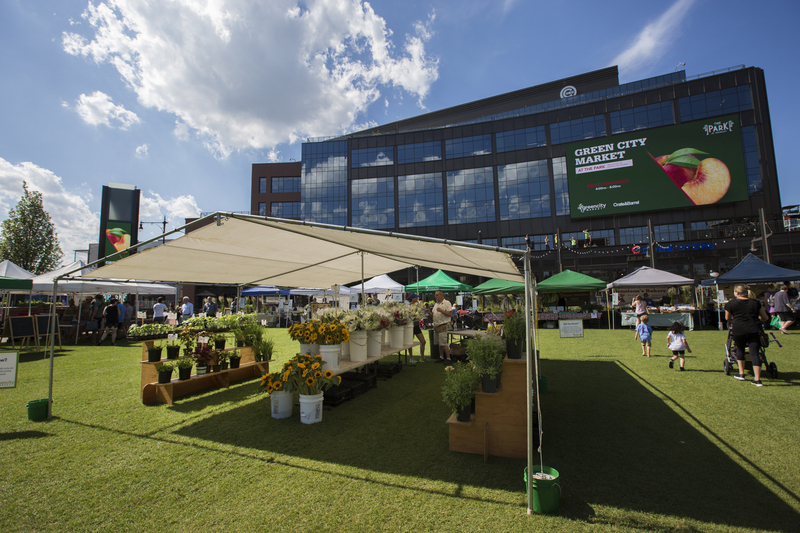 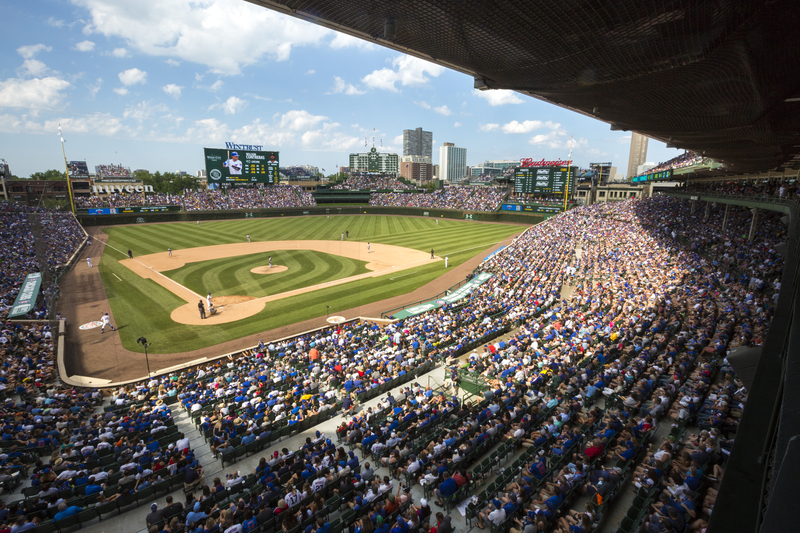 In the summer of 2017, the Park at Wrigley opened and provided fans with a space to hear live music, sample local cusine, shop locally grown produce and watch the games live on the big screen. 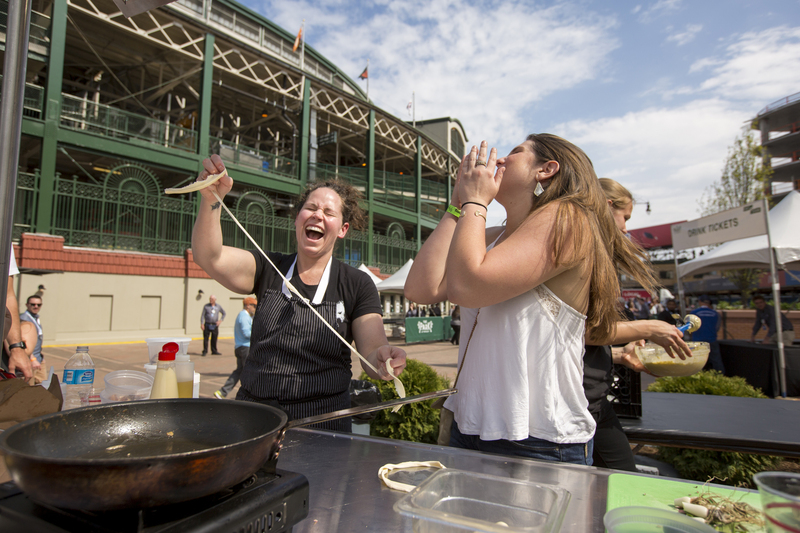 American Top Chef Stephanie Izard shares a laugh with an audience member during a cooking demonstration at Wrigley’s Craft and Cuisine. 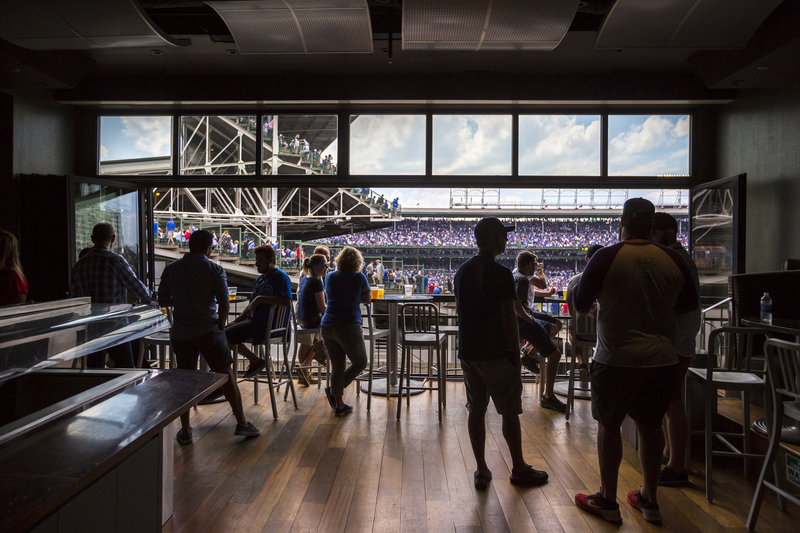 Foodies from around Chicago gathered for Wrigley’s 2-day Craft and Cuisine, featuring demonstrations from Big Star’s Paul Kahn, Stephanie Izard from Girl and the Goat and Matthias Merges from Yusho. 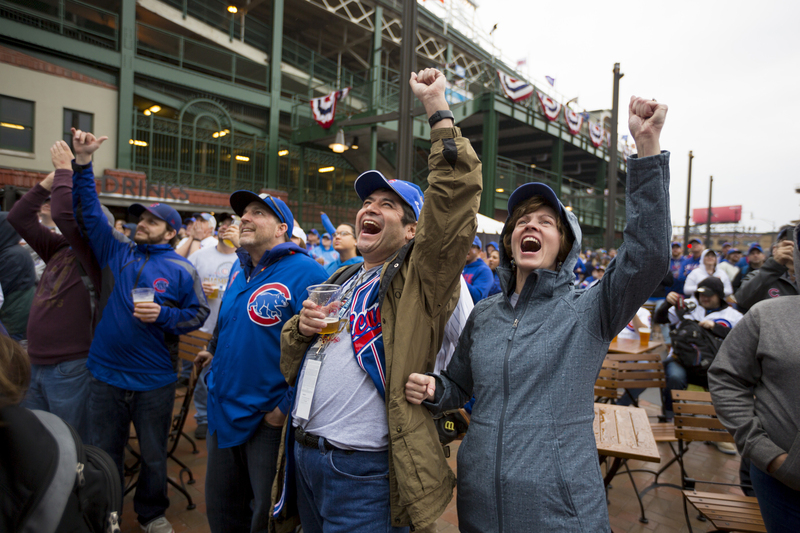 On opening day, 2017, committed Cubs fans re-watched the Cubs win the 2016 World Series in Game 7 agains the Cleveland Indians. 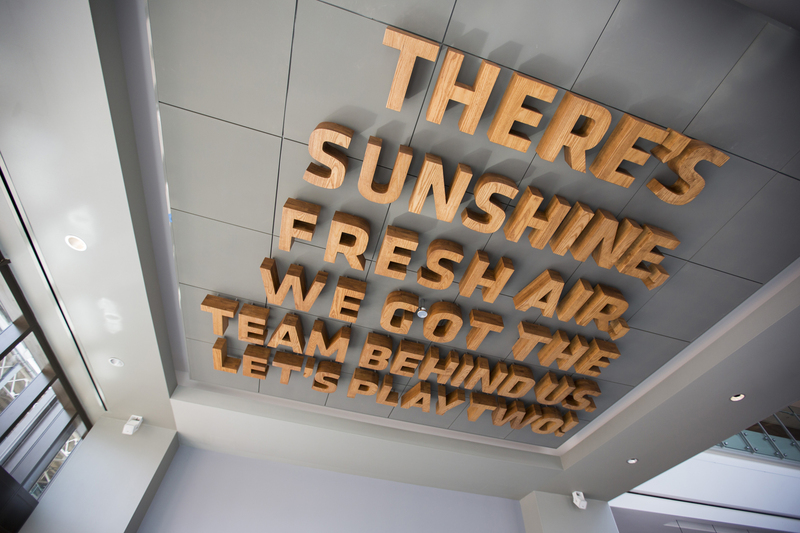 The words of Ernie Banks adorn the new Cubs building on Waveland. 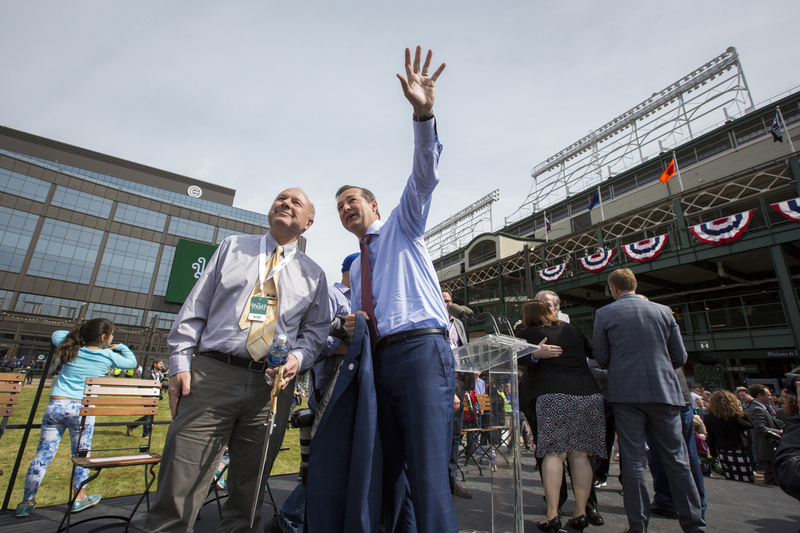 Cubs Chairman and Owner Tom Ricketts discusses building plans with Bau Graves, Executive Director of Chicago’s Old Town School of Folk Music. 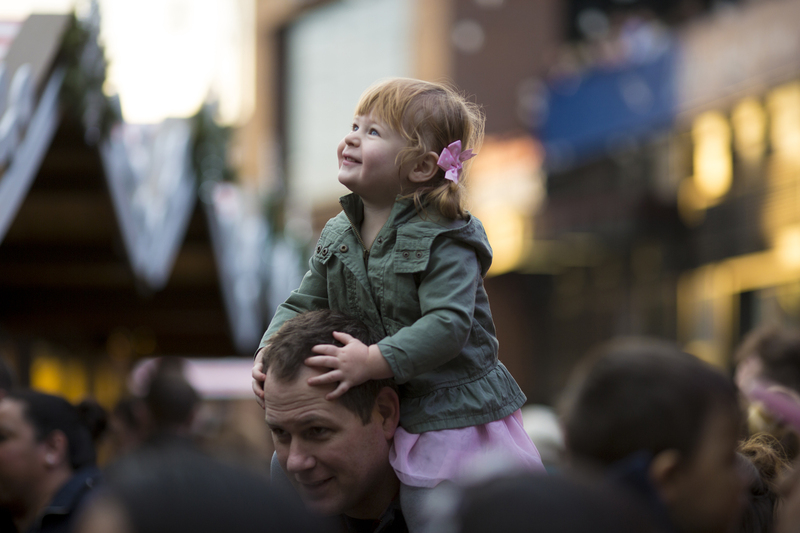 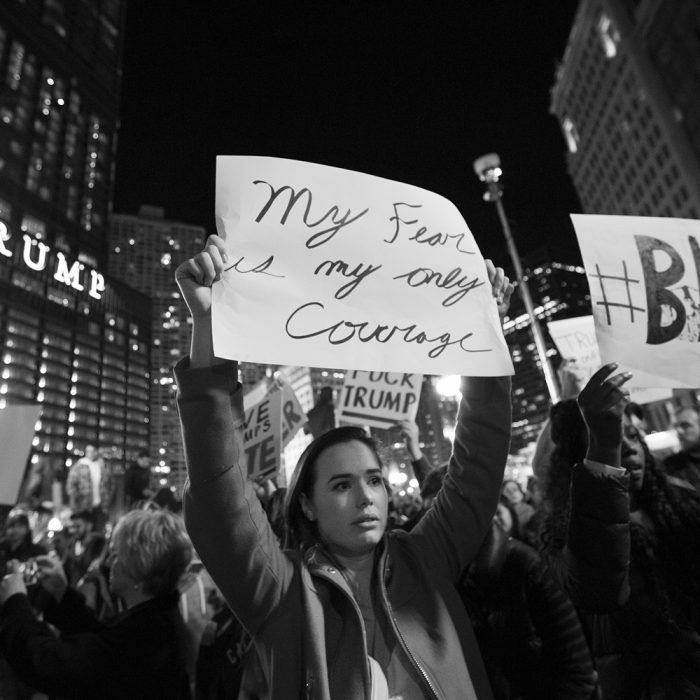 Old Town School of Folk Music preformed live shows throughout the 2017 season for fans of all ages. 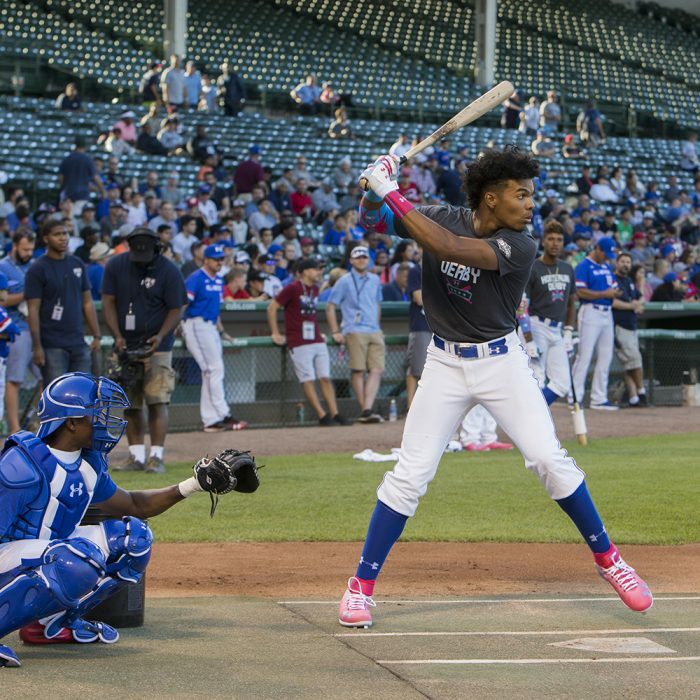 A young White Sox fan gets some grief from Clark during the 2017 All-America game at Wrigley. 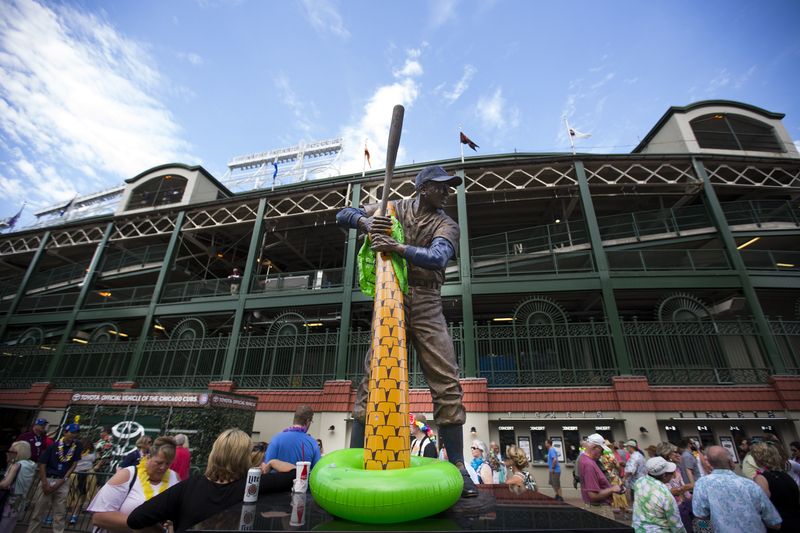 The statue of Ernie Banks gets some extra accouterments during the Jimmy Buffet Pre-Show Party. 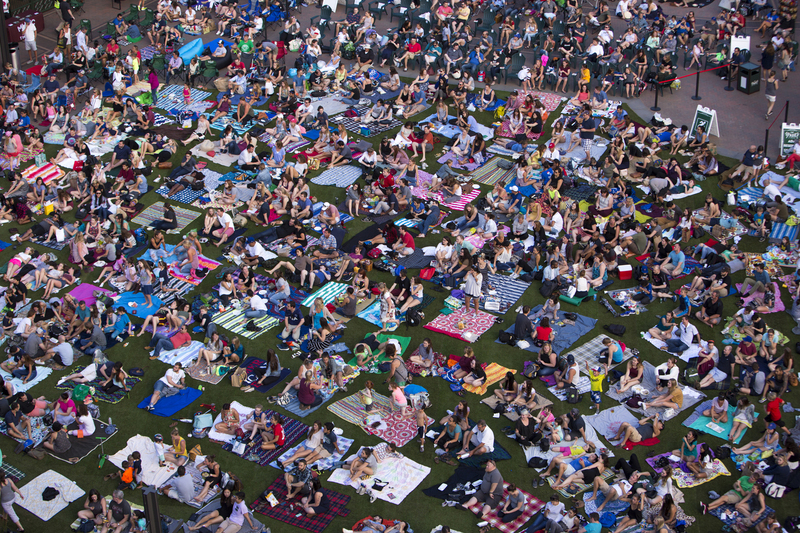 Movies at the Park drew hundreds of fans together to watch Ferris Buller’s Day Off in July. 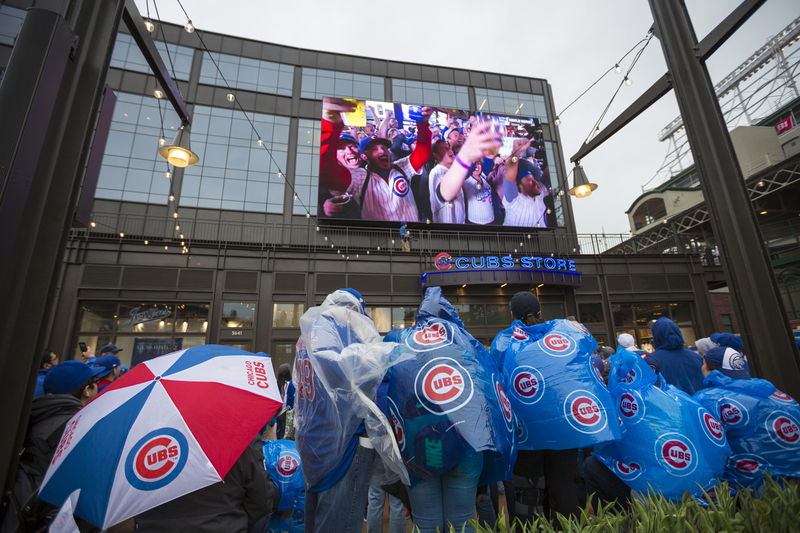 Movie Night was a collaboration between the Park at Wrigley and the Music Box Theatre. 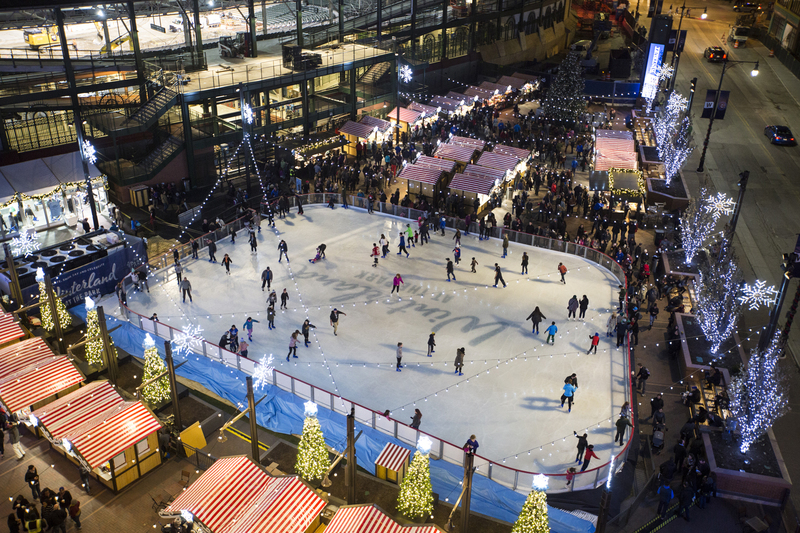 Winter Wonderland and Christkindlmarket at the Park at Wrigley.